The recent BBC2 programme, All Watched over by Machines of Loving Grace, presented the case for computationalism - that is the belief that human beings are nothing more than biological machines programmed by genetic instructions. According to computationalism, there is no mind existing independently of matter and no spiritual or ethical dimension to human existence. Computationalism, whether explicitly stated as a philosophical theory, or just implicitly accepted as the way the world is, as in this programme, has become the default belief of modern materialism. The computationalist worldview is responsible for much of the bleakness and brutalism in modern art and culture. Computationalism, like its predecessor physicalism, is of course the antithesis of all religions, and one which religions find difficult to argue against, with the exception of Buddhism, which alone has the philosophical arguments to challenge it. Richard Dawkins was portrayed as the protagonist of this bleak view of human nature, though in fact Dawkins' view is rather more complex, and compatible with Buddhist philosophy. Accepting our evolutionary history does not mean rejecting our spirituality. 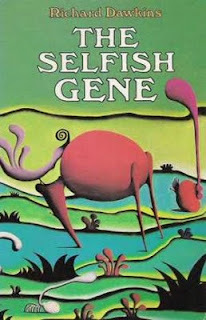 In The Selfish Gene, Richard Dawkins says: ''We have the power to defy the selfish genes of our birth and, if necessary, the selfish memes of our indoctrination. We can even discuss ways of deliberately cultivating and nurturing pure, disinterested altruism - something that has no place in nature, something that has never existed before in the whole history of the world. We are built as gene machines and cultured as meme machines, but we have the power to turn against our creators. We, alone on earth, can rebel against the tyranny of the selfish replicators." The programme tells how the geneticist George Price, appalled at the consequences of the Selfish Gene hypothesis, converted to an extreme form of Christianity in his attempt to rebel against the tyranny of the selfish replicators. Unfortunately Price's reaction, like so much of the Christian reaction against Darwinism, lacked any rational basis and in Price's case ended in suicide. Christianity has always been a religion seeking a metaphysic, in contrast to Buddhism which is a metaphysic generating a religion. The Turing Machine provides one of the most easily understood refutations of materialism, physicalism and the mechanistic model of the mind. Turing believed that "When the body dies the 'mechanism' of the body, holding the spirit is gone and the spirit finds a new body sooner or later, perhaps immediately." - The behavior of all machines, computers and physical systems is reducible without remainder to the operations of a Turing machine. - The behavior of the mind shows at least two functions - 'aboutness' (intentionality) and qualitative experience (qualia) - that cannot in principle be reduced to the operations of a Turing machine. - Therefore, there are some aspects of the mind that are non-mechanistic and non-physical. 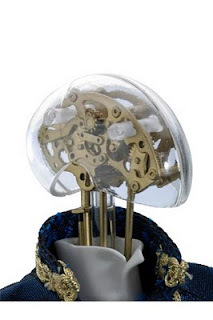 See Mind and Mechanism – Buddhism and the Turing Machine for a full explanation. More Buddhist arguments against materialism and computationalism. "Qualia are internal, subjective qualitative states such as the redness of red, aesthetic experiences of beauty and revulsion, pain, happiness, boredom, depression, elation, motivation, intention, the experience of understanding something for the first time, etc. Such states are subjective and private and are distinct (though causally related to) physical and neural activities...."
"...computers are not only incapable of understanding meaning, but they actually strip all meaning out of anything fed into them..."
"The great difficulty in talking about non-algorithmic phenomena is that although we can say in general terms what they do, it is impossible by their very nature to describe how they do it. (If we could describe in a stepwise manner what was going on, then the phenomenon would be algorithmic). A typical example of a nonalgorithmic activity is assigning meaning to any object. For example, when is a chariot a heap of firewood? Or when is a car a pile of parts? (as discussed under sunyata). Many processes involving semantics, as distinct from syntax, appear to be non-algorithmic... "
The mind is nothing but the brain. The brain is nothing but a biological system. Biological systems are nothing but chemical interactions. Chemical interactions are nothing but physical interactions. Therefore the mind is nothing but a set of physical interactions. However, from a Buddhist standpoint, the reductionist argument is flawed at the top, it is flawed at the bottom and it is flawed in the middle... "
"The mind cannot be an emergent property of the brain or any other physical system, since emergent properties and emergent phenomena are psychological in origin, and require the pre-existence of an observer's mind in order to become manifest..."
The series of programmes was intended to be an expose of computationalism by showing some of the terrible consequences that have arisen from it. It certainly did not present the case For it. Unfortunately I didn't see the earlier episodes, so I can't comment on the whole series. The episode that I did see certainly didn't glorify computationalism, but it did present it as the default dogma of science without even mentioning any coherent opposing view. George Price, the geneticist who turned against the tyranny of the replicators, was portrayed as a sad but well-meaning religious nutcase. Maybe, in the interests of presenting a balanced approach, the BBC should produce a fourth episode reviewing the arguments against computationalism, though it's difficult to see how this could be presented in the format of popular TV. If you haven't seen all three episodes of this series Sean then I heartily recommend you take a look at them as soon as possible - they're only available on BBC iPlayer for another 24-48 hours at the time of writing. "Hamilton followed the logic of natural selection to its extreme conclusion." Any mentions of the word extreme in relation to beliefs seems to automatically indicate that the thought process has gone or been pursued too far. "...he specialised in attacking the myths and superstitions in society because he believed rationality could explain everything." George Price became relgious for what seemed to be a short period in the few years toward the end of his life, almost as the antithesis, a penance, as I seem to recall somebody in the show saying, of his previously irreligious path. As they said, maybe this was just another one of his experiments. As for a fourth episode in the quest for balance, in the contecxt of the subject matter I really don't think that's necessary. Even in this single episode there was enough blatant irony to demonstrate the point that the premise of wanting or owning a Playstation 2 made selfish humans partly responsible for the genocide in a far-flung country. If that doesn't make people sit up and think about the consequences of their seemingly unharmful actions, then I don't know what will. "...at Diane Fossey's camp a new liberal dream was being born. Instead of thinking of ourselves as different and superior to animals, we should recognise how similar we are, linked together in the web of nature." That statement goes beyond the logical/mechanical focus of this most excellent series and invites us to step into and explore the realms of further human conditions and interconnections with the world around us, maybe warranting a closer inspection of Fritjof Capra's "Tao of Physics" and Brian Bates' "Way of Wyrd"? Buddhims would seem to be just another set of mind games encouraged in the interests of the status quo. Rarely have the Buddhists of Myanmar done anything other than ease the path of the military overlords. I'm so sorry that I missed this final programme - Curtis has chosen such interesting targets and offered striking reasons why they have gained widespread uncritical acceptance. Consider the fact that an amoeba has no brain and no neurons, and presumably no conscious experience. Yet an amoeba has a rather large genome and a set of rather complicated behaviors that maintain it's internal state of homeostasis. When you consider in your "mind" what an amoeba does, it is almost impossible not to experience the amoeba as an agent; a rational decider. Yet we know logically through inductive reasoning that an amoeba must be nothing but a biological mechanism; that it's behaviors can only arise out of the evolved form itself. There is no other possibility. Life does not require consciousness. The universe does not require conscious one-ness. An evolved life form has neurons and consciousness and a brain creating an experience of a self running the show. There is no logical evidence that our conscious experience, what we call "our life", physically exists and is not just an evolved mechanism of the human life form. Just because the "self" is experienced as the owner of a "mind" doesn't mean that that experience is not being created by a brain. I have just watched episode 3 in this very interesting documentary. There was a video clip of a lady using one of the original computers and placing one of the reels back on the machine. I am sure it was my Mum when she was very young. Can anyone tell me if the clip was taken from The Bank of England achives? This is where she used to work.